With the 7th Pay commission the existing pay structure of all the government employees has been transformed to a new “pay with band” structure. The existing pay scale is according to the grades of the employees and the new proposed model will be an integration of both the structures. The existing levels or grades have been used to set up the ‘pay with band’ structure. This new pay matrix is designed to attract the human resources and best talent in the country for joining government services. 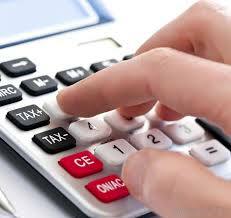 According to the 7th CPC the formula for fitment for the existing employees is 2.57. For example employees who lie under the pay band of 5200-20200 and grade of Rs 1800, their basic pay (pay in pay band + grade pay) will be multiplied by the factor of 2.57 to get the new figure. The matrix below is illustrated with the formula and fitment calculations. The table also illustrates the various grades fixed in sectors like Civil, Defense and MNS. The above pay matrix has two axis. The horizontal one represents the ‘functional role in the hierarchy’ and is presented in the form of number from 1-18. The vertical axis represents the ‘pay progression’ of that level or grade. This also represents the annual progression of three percent for every employee. The matrix starts with the minimum pay scale based on 15th ILC norms. Every employee grows within the three levels of the vertical axis. These are movements which are done during the annual increment, till the next promotion or movement to the next level. After every promotion the employee moves or progresses towards the next level on the horizontal brackets. With this matrix the career path of the government employees is illustrated along with the ways they can grow. Moreover, it is also highlighted that if any employee does not has a promotion yet there are three levels of growth where the employee gets hikes in the pay scale in the same cadre. For the civilian employees the pay matrix is illustrated in Table 5 of the 7th CPC report. After the implementation of the 7th CPC the fitment for each employee would be done by referring to the pay matrix. This would be done by multiplying the basic salary of the employee by a factor of 2.57 as on that date. The derived pay will be then marked on the pay matrix and with the help of it the employee’s grade can be identified by marking the level corresponding to the figure attained. There are some exceptions as well in which the commission has proposed a change in the grade pay. If the figure is not there in the given level or an identical one is also not present, then the next higher pay close to the attained one, would be the new pay of the employee.